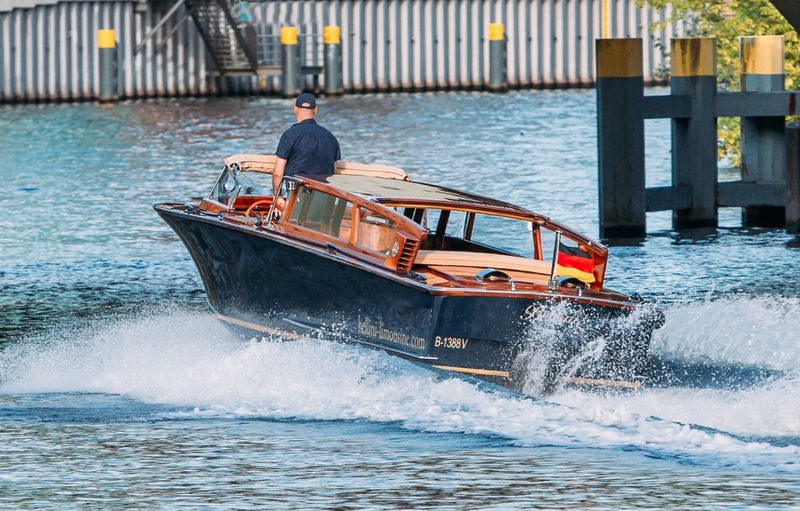 The FITZGERALD and the BELLINI are the first choices if you want to rent a boat in Berlin to celebrate exclusively on the water. Whether it is a golden wedding, an anniversary or a special birthday - on our ships you will experience an unforgettable day. We organize a catering suited to your wishes, provide a flowery decoration and welcome you with a glass of champagne on board. 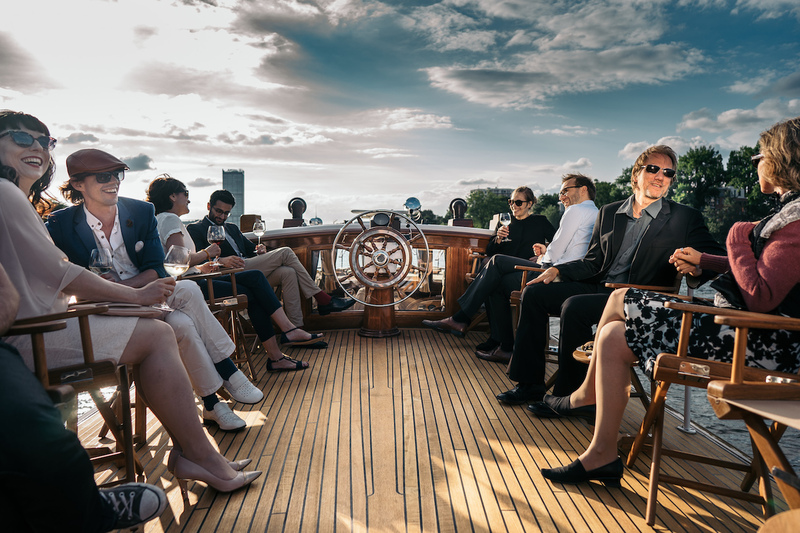 The stylish frame for your party is what our ships offer - the finest leather, the finest mahogany, and a stylish equipment. Plus a crew that cares for you and your guests. So you can enjoy an exclusive and individual family celebration on a ship in Berlin! The MOTORYACHT FITZGERALD can accommodate up to 35 people. Would you like to party in a smaller circle? Then rent the BELLINI LIMOUSINE. 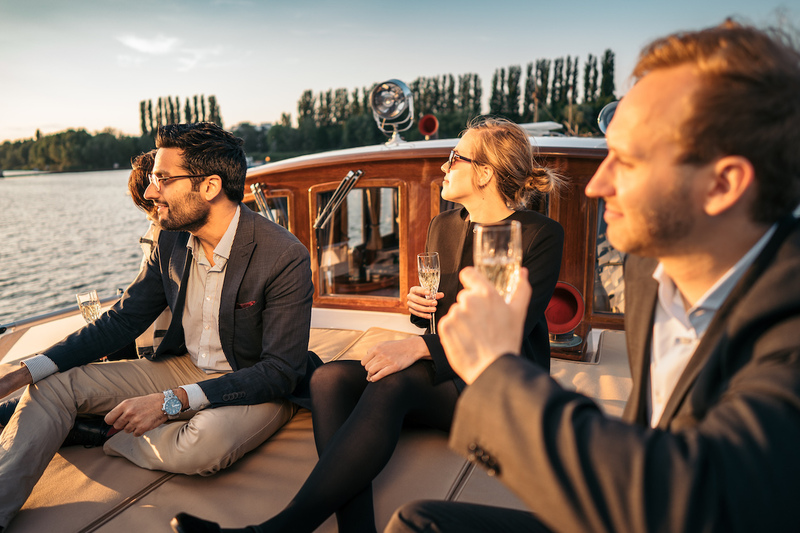 As a chauffeured limousine on the water, it is ideal for a celebration in the close family or circle of friends. 10 guests find a sunny and rainproof place. Drinks and snacks are on board. Whether family celebrations or birthdays, you will feel comfortable with your guests on board. We are happy to take care of your party! Please call us: 030 - 554 994 60 or via our contact form. We are looking forward to your inquiry.